Robert Halfon MP has confirmed that he hasn’t written a letter of no confidence in Theresa May - but said his Christmas wish is for “this Brexit stuff” to be over. Joining Julia Hartley-Brewer on the talkRADIO breakfast show, the MP for Harlow said he won’t be voting for Mrs May’s deal. “I won’t vote for the deal. I’ve thought about it very hard, I do worry about Armageddon afterwards,” he said. “I don’t know what the truth is, whether John Redwood is right and there won't be a problem, but I promised my constituents that I’d do everything possible to make Leave happen. Earlier on the show, Mr Redwood said he “hadn’t heard a single scare story I believe” about a no-deal Brexit, and was scating about the Prime Minister’s deal. “It's completely mad to sign the withdrawal agreement giving them [the EU] huge sums of money, and locking us back into all the laws and rules that we want to get out of without having anything firm and legally tied down on our future relationship,” he said. "We should not as a Parliament sign up to all the bad news of the withdrawal agreement without knowing if there's any good news or not." “I hope the Prime Minister goes… comes back from Brussels with a much better deal to present to Parliament,” added Mr Halfon. “The only letter I’ve written is to Father Christmas just to say, ‘please God let this Brexit stuff be over and done with!’” Mr Halfon replied. 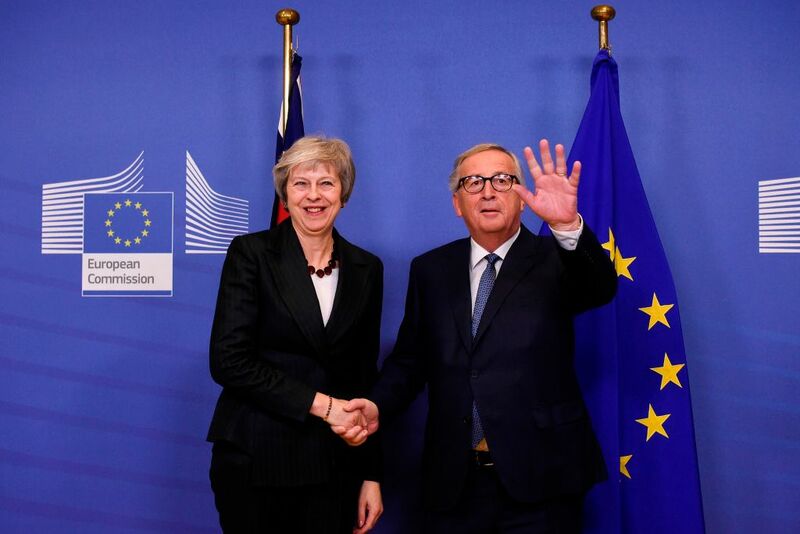 Mrs May will meet European Commission president Jean-Claude Juncker in Brussels on Saturday, and European Council president Donald Tusk has tweeted that the political declaration - a blueprint for the future relationship between the UK and the EU - has been agreed in principle.